As a rule, you see a fast sports car from the rear. And when you start an overtaking maneuver in the new Panamera, you can look forward to showing precisely this view. However, it is not only at the rear end that the designers have played a bold hand. The retractable rear spoiler is elegantly integrated into the body. A special feature in the Turbo is the widening of the rear spoiler when deploying—as appropriate for the vehicle’s higher performance. Recognizable at first glance: The new LED headlights with four-point daytime running lights. In addition, optimized front fascia and large shaped air intakes that are characteristic of the new face of the Panamera. The calling cards of the Panamera Turbo are its dominant front end, characteristic front light design as well as the side air outlets are finished in the body color. Read more about the all new Porsche Panamera in the full article. 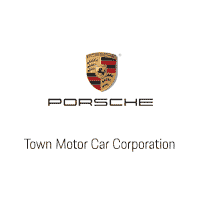 If you have any questions, please visit Town Porsche today or contact us at (201) 227-6500.